It’s been a big month at Coassemble with the team juggling a number of conversion projects, account customisations and new enterprise features. The Development Team has also been hard at work on the latest update to the platform (Lambton) which you may have noticed in your Campus yesterday afternoon. 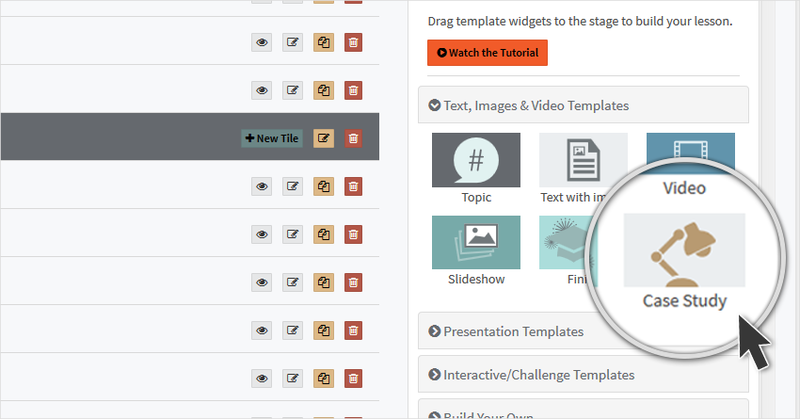 Yay – we’ve added a new Lesson Template! 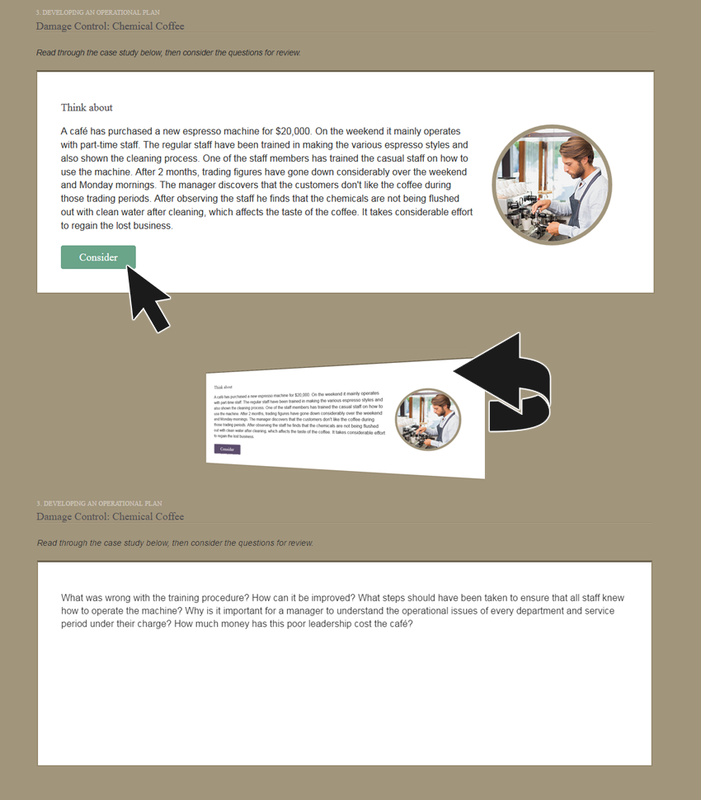 The ‘Case Study’ Template can be used to display a ‘study card’ that poses a scenario, requiring participants to think of an appropriate response.The card can then be ‘turned’ to reveal more information, questions to consider or the ideal response. This makes the Case Study Template great for testing decision making and responses, especially for health and safety related topics. The Case Study Template’s ‘flip and reveal’ structure means that it can also be used to simulate flashcards. Here’s how to make your own Case Study. 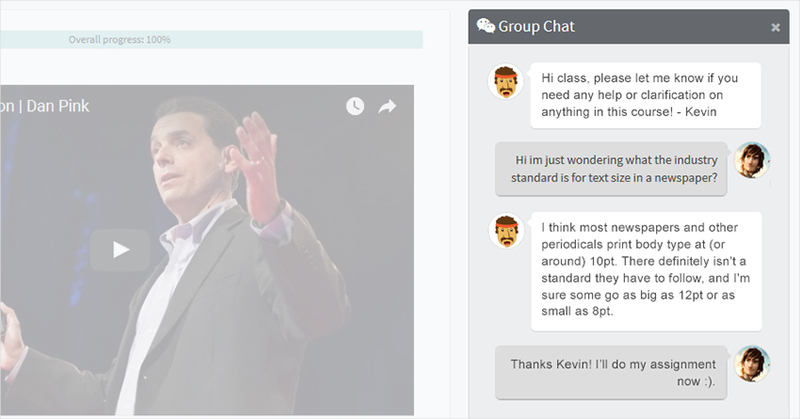 A new Course Chat feature allows for better discussion between Facilitators and Participants. The Chat feature is available to Participants from a tab on the Course view, allowing all members of a Course Group to collaborate, ask questions and provide feedback in real-time. The old Reports Dashboard was kind of… well… meh. It didn’t really show you anything apart from how much activity there was in your account. 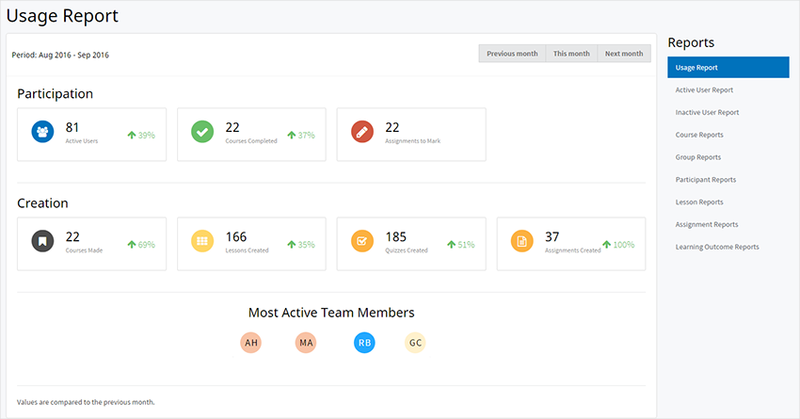 On the other hand, the new Report Dashboard on the other hand provides a valuable snapshot of activity across your account including Participation and Creation (comparing values to the previous month). To make it easier to keep track of your Participants, we’ve added avatars on all Reports, allowing for easier identification of your Participants. You can now also easily view each Participant’s progress under Course > Group > Participant Report where there’s now a progress bar to show how each Participant is advancing (or not). Under Courses, your Document Modules no longer need to be published (they’re now available to your Participants as soon as you upload them). You can also now add multiple attachments to each Assignment question, including .PPTX files which were previously rejected. The ‘Lambton’ update is named after the first suburb in Newcastle to be fully lit by electric light. For more information about Newcastle take look at the Visit Newcastle website.